Address: 249 Auburn Road, Hawthorn, Victoria 3122. 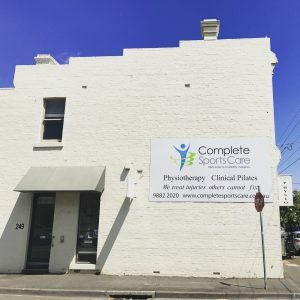 Entrance to the clinic is located on Caroline St.
Free 1 hour parking is available on either side of Auburn Road, in the same block as our clinic. 1 hour parking is applicable from 8.00am – 6.00pm Monday to Friday, and 8.00am – 12.00pm on Saturday. Parking is unrestricted at all other times. Free 2 hour parking is available at different points along Caroline Street, some permit zones also apply. To find the best possible public transport route to our clinic, please refer to the Public Transport Victoria Journey Planner. Auburn train station is 700m from the clinic, google estimates a 10min walk. Number 75 and 70 trams stop at the corner of Auburn Rd and Riversdale Rd (stop 36) which is a 2min walk from the clinic.